A professionally designed irrigation system can be one of the greatest assets in regards to keeping a healthy and good looking lawn. The ability to apply moisture accurately to the areas that need it can save a homeowner time and money. Advanced Lawn Solutions Irrigation Division excels at providing superior Irrigation System Service, Maintenance, Repair and Design for New Installations. The main benefit of an irrigation system is providing proper distribution of moisture to key zones of the lawn and landscape. After an irrigation system is installed the system runs great. After several seasons, system components can break due to normal wear and tear. Heads can get clogged, lines can break and system control boxes can start to decline. This is why we provide an in-depth system maintenance service. Our Silver maintenance plan consists of a Spring Start-up and a Fall/Winter Shut Down. This plan is for the homeowner that likes to “adjust” their systems head spray patterns and system run times during the season. We will ensure your system start-up is completed in a timely manner. If we find any components that need to be replaced, we will let you know on parts and labor if we are allowed to provide the repairs. In the Fall / Winter, we will provide a complete system shut-down. This will consist of blowing out the system with compressed air, removing the backflow device to store at our heated facility over the winter and deactivating the irrigation controller. Our Gold maintenance plan will consist of 4 quarterly services. We will provide a complete spring start-up and Fall / Winter shut down as in the silver plan. If we find any components that need to be replaced, we will let you know on parts and labor if we are allowed to provide the repairs. We will also provide an annual summer maintenance service. 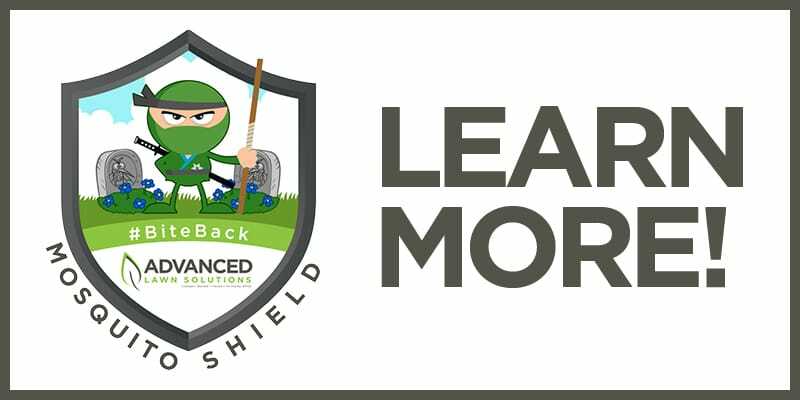 This service will focus on proper coverage of all turf areas and all trees and shrubs to guarantee all plants are receiving adequate moisture. We will also reprogram the control box for appropriate summer conditions, inspect for any damage or leaks and ensure proper functionality. A fall maintenance service will also be included in the gold plan. we will provide a 3rd quarter system evaluation and make adjustments to ensure proper efficiency and reprogram the control box for fall weather conditions. Typically this is around the seeding season. We will adjust the system to meet the needs of a freshly over seeded lawn. At Advanced Lawn Solutions, when it comes to Irrigation system design we start with an initial walkthrough to allow us to understand the needs of the homeowner or business. Our focus consists of designing a “Smart, Efficient and Reliable” system for our clients. We use only the best quality components from top quality manufactures in our designs. The end result is a fully operational system that has the potential to use 30%-50% less water than that of normal irrigation systems. We can include smart sensors and controllers in our designs that “learn” the environment they are in via external components or a direct link to online weather data and resources. If you want a system that you can control with your smartphone or from your home computer, we can provide those options as well. All of our design | installs will include a full rendered drawing for the customers reference. Our Install crews are courteous and professional. We will be thorough and attentive in our endeavors. Full walk-throughs are provided before and after the installation process. All work performed is guaranteed 100%! Advanced Lawn Solutions provides a 1-year warranty on all workmanship and material involved in the initial installation. A maintenance plan will be included with each system we install for up to one year. We only use the best material in the business to build our systems. Irrigation system repair is a large portion of our business. We excel at identifying problems and providing efficient repair solutions to fix any irrigation malfunction or damage. There are many benefits to adding a professional irrigation system to your home. Over time, system components can wear be outdated by new technology. The great thing about our industry is that we are always evolving. Water efficiency is a major topic in our field and Manufacturers are always bringing new and exciting components to the market that maximize water savings. If you have an Irrigation System that is over 5 years old, you should look into the options of retrofitting some of the existing components using newer technology to increase the life and efficiency of your system. Replacing older parts with newer ones will extend the life of the system. Water Savings immediately up to 50%. Eliminates wasted water during run cycles. We are always committed to exceptional quality and overall client happiness. We will always stand behind our work. We maintain an Accredited Excellent Rating with the Better Business Bureau. The Relationship we keep with our customers is of the upmost importance. Many service companies can pass up the average residential account when it comes to maintenance in order to focus on commercial work. Our philosophy is the exact opposite. Over 85% our Business comes from residential service work! The main focus we have at Advanced Lawn Solutions is Moisture Efficiency. In all of our services, we strive to review and recommend the components or material that will have the most positive effect on saving as much of the water used while irrigating your lawn as possible. Water Efficiency = Money Saved!